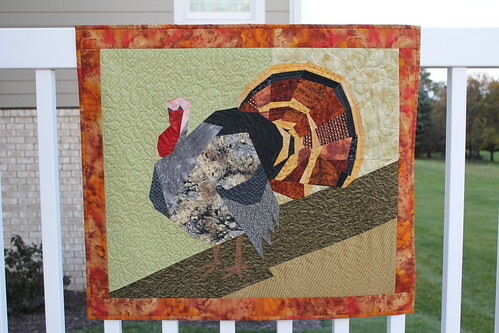 With Thanksgiving just a few weeks away, it's time to display my turkey quilt. I think this bird will rest on the coffee table this year. I made this a couple of years ago at the beach while on vacation with my family. I get lots of sewing done when we are at the beach. I really enjoy having two uninterrupted weeks of nothing but R&R and sewing. This quilt was paper pieced from a clever pattern that I purchased at a local quilt show. Very smart, the pattern maker was. I enjoyed searching for fabrics that resembled each part of the turkey; head, waddle, feathers, etc. 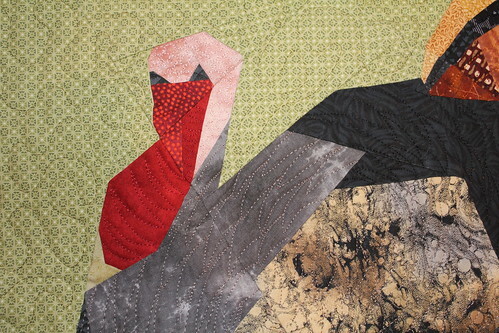 It was also fun to enhance the texture of each part of the bird with some creative, freemotion machine quilting. This turkey better find his way into the grass before a hungry Pilgrim finds him! I WAS TOTALLY AWESTRUCK WHEN I SAW THIS !!! HOW DO I FIND THE PATTERN?? This turned out so adorable. 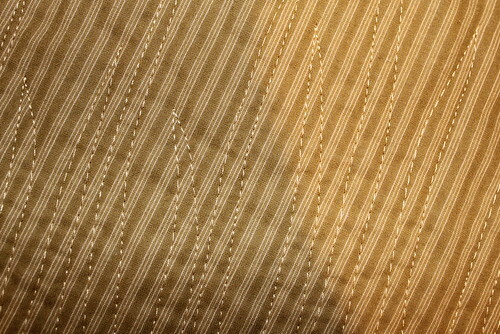 I had not seen this pattern before. Great job. I love the quilt and would love to purchase the pattern, however "Our Gathering Place" quilt shop is no longer in existence. Is there a name on the back of the pattern as to the designer or contact for such? Please let us know.